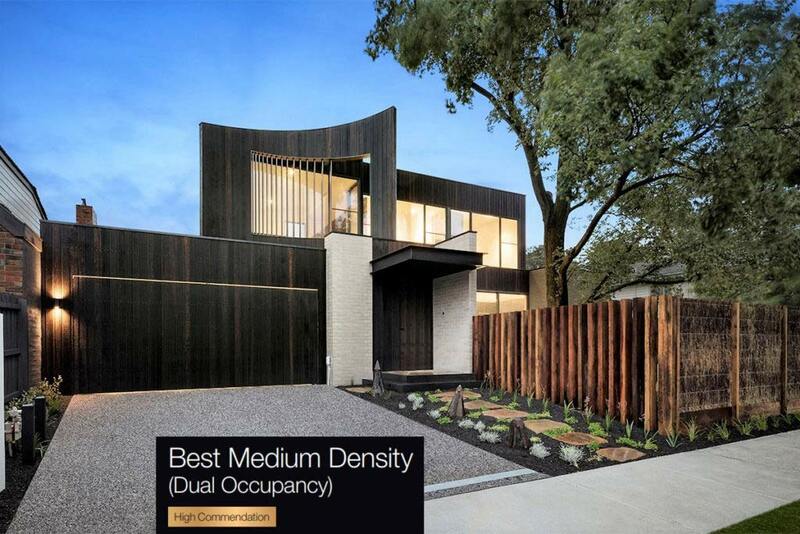 We are proud to announce our Beaumaris project has this week been awarded the High Commendation for Best Medium Density (Dual Occupancy) category by the Bayside City Council. The design and build team saw to the creation of two stunning and unique, homes on this two street frontage, prime site in Beaumaris. Distinct features were designed for each home commencing with the exteriors; the wave / fin form timber paneling to one home and a layered roof line to the other. It is not obvious these two are part of a dual occupancy project and are instead identified as individual homes. Clients commissioned Fiona Austin for the interior design, with Lowe Design & Build undertaking architectural design, town planning and meticulous build.